He's heading to Spring Manor. 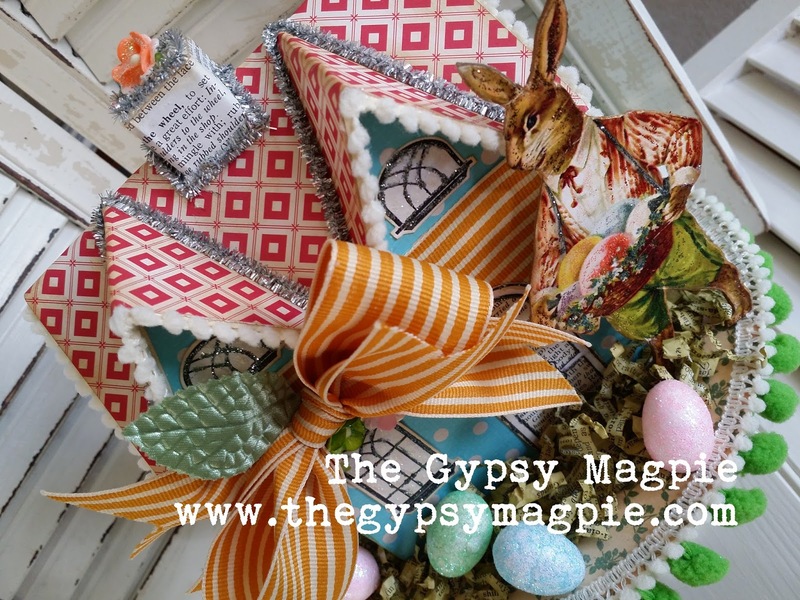 This is one of the Easter classes I taught this month. 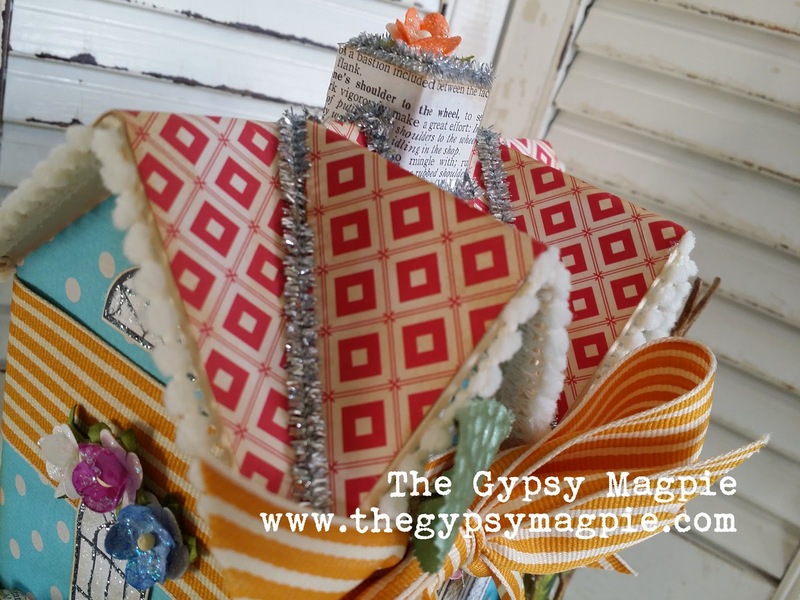 It's a paper mache house, decorated in happy spring colors and embellished with lots of sparkle and flowers. 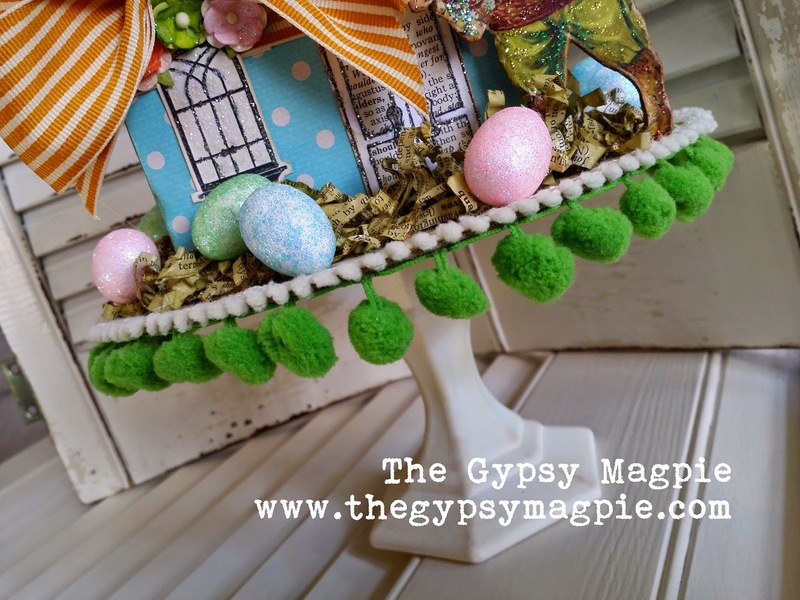 The house is nestled in a bed of book paper "grass" with glittering eggs tucked in around it, resting on top of a pedestal. 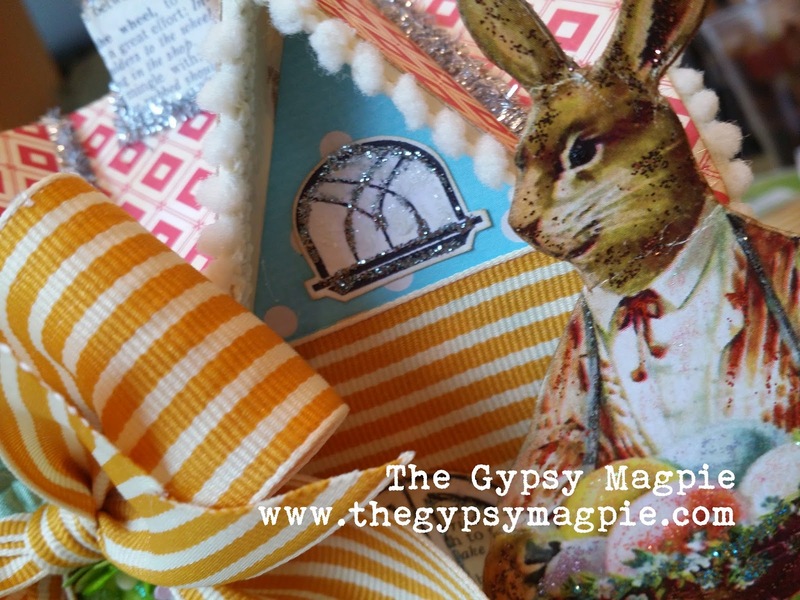 If you'd like to make one of your own, I've got a few kits available here in my Etsy shop. 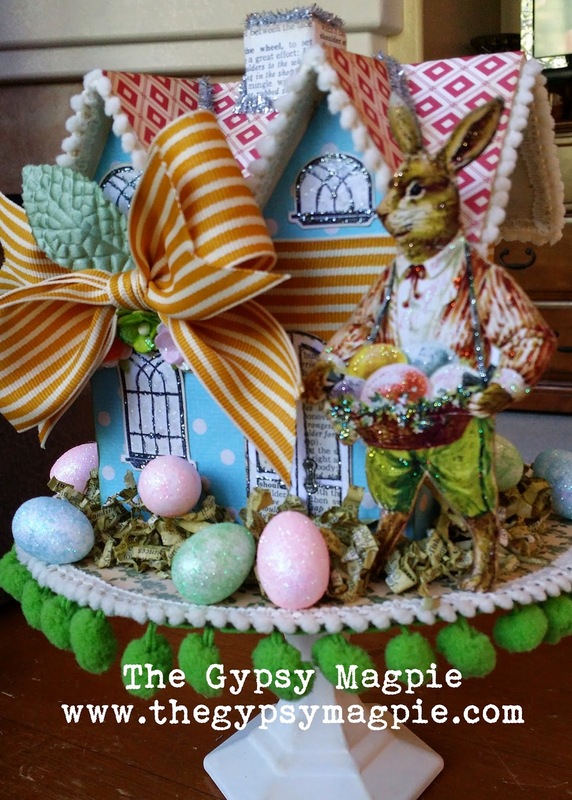 Oh Teri, the three little chicks and the Peter Cottontail house are just too cute! I haven't put a thing out yet for Easter...Happy Easter! Love this so very much, vintage happiness!